Match ends, FK Vojvodina 1, Dinamo Minsk 1. 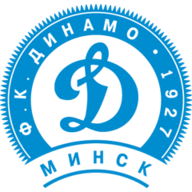 Second Half ends, FK Vojvodina 1, Dinamo Minsk 1. Substitution, FK Vojvodina. Lazar Zlicic replaces Aleksandar Palocevic. Sinisa Babic (FK Vojvodina) is shown the yellow card for a bad foul. Substitution, Dinamo Minsk. Anton Shramchenko replaces Mohammed Mounir. Goal! FK Vojvodina 1, Dinamo Minsk 1. Evgen Budnik (Dinamo Minsk) right footed shot from the centre of the box to the centre of the goal. Substitution, FK Vojvodina. Dusan Jovancic replaces Nikola Trujic. Substitution, FK Vojvodina. Milos Trifunovic replaces Filip Malbasic. Sergei Kontsevoi (Dinamo Minsk) is shown the yellow card for a bad foul. Substitution, Dinamo Minsk. Evgen Budnik replaces Luka Rotkovic. Substitution, Dinamo Minsk. Sergey Karpovich replaces Valeri Zhukovski. Nemanja Miletic (FK Vojvodina) is shown the yellow card for a bad foul. Second Half begins FK Vojvodina 1, Dinamo Minsk 0. First Half ends, FK Vojvodina 1, Dinamo Minsk 0. Artem Bykov (Dinamo Minsk) is shown the yellow card for a bad foul. Goal! FK Vojvodina 1, Dinamo Minsk 0. Sinisa Babic (FK Vojvodina) right footed shot from the centre of the box to the centre of the goal.